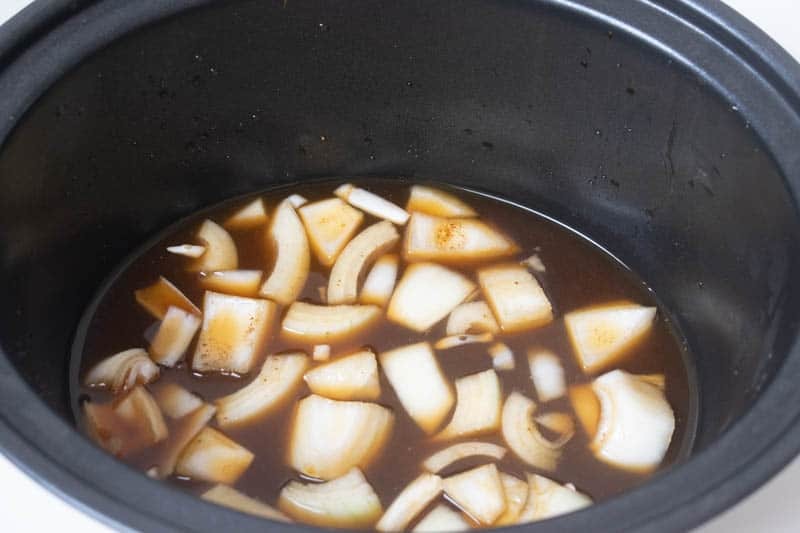 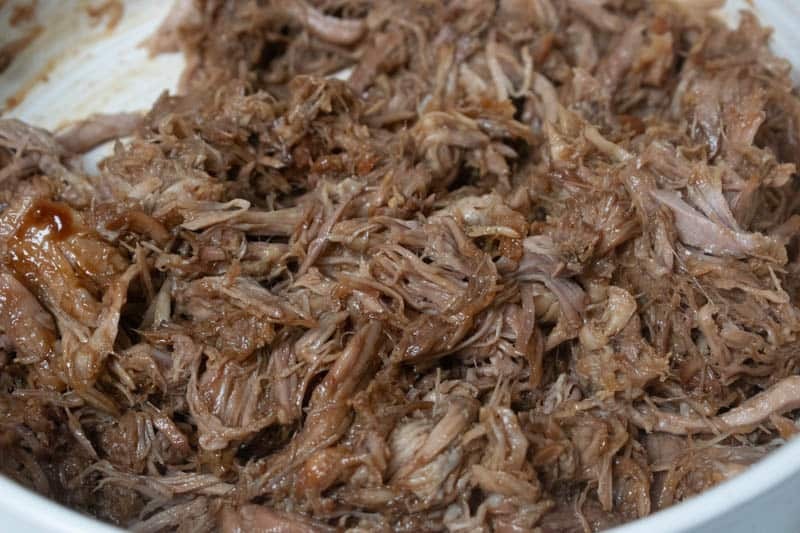 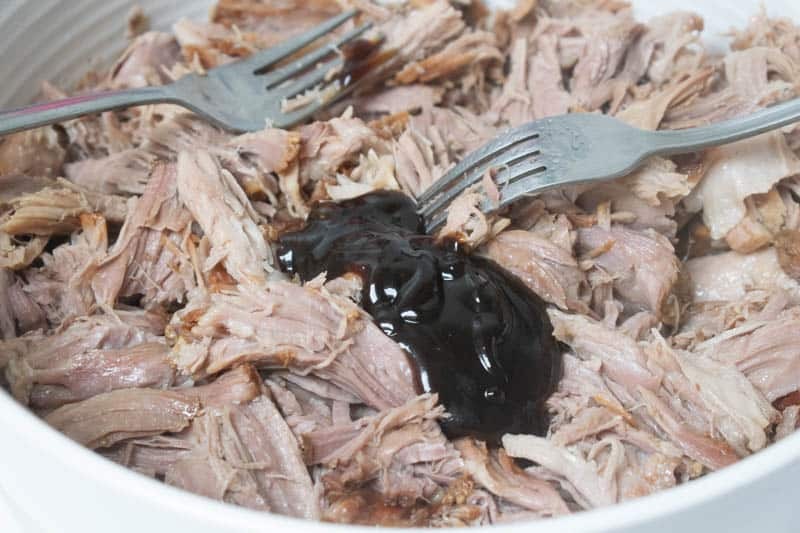 This slow cooker hoisin pulled pork is one of my favourite slow cooker recipes. 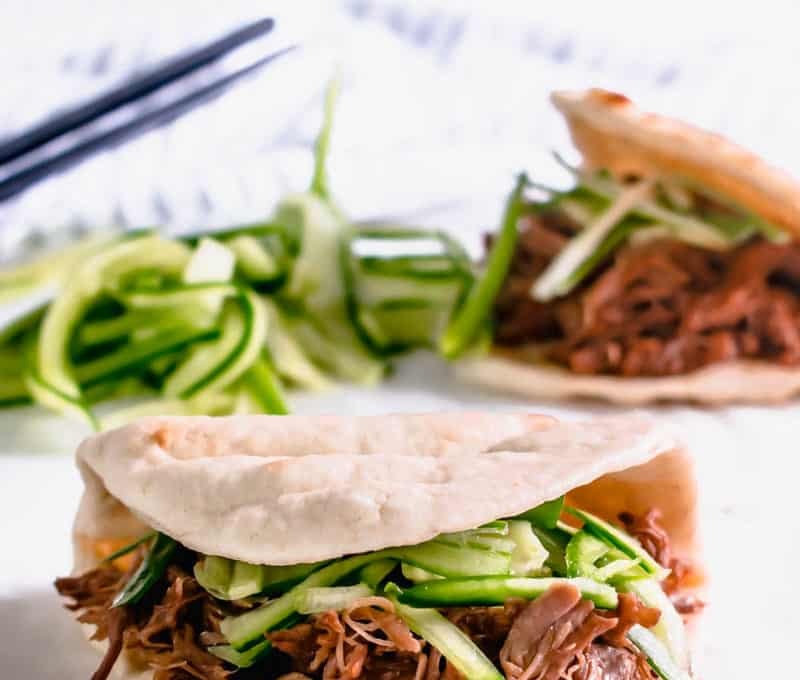 It’s a perfect mid-week fakeaway recipe for hoisin duck pancakes without the deep frying (and duck). 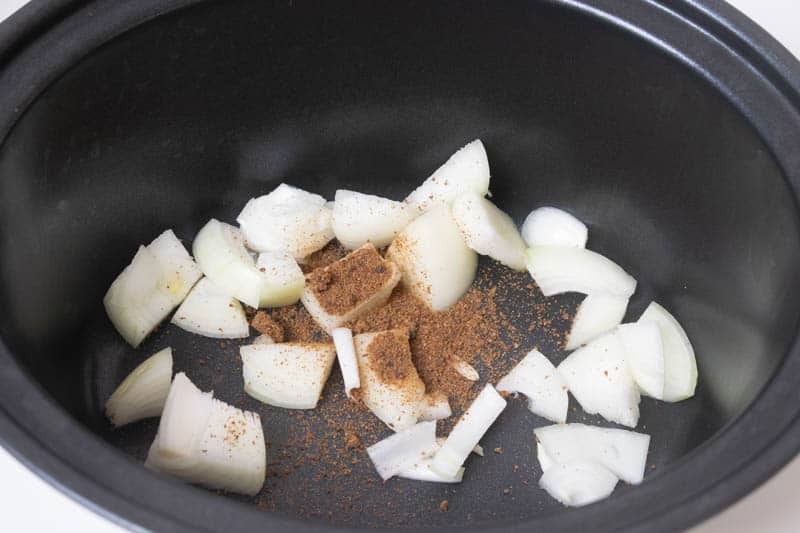 This recipe is super quick to prepare and serve, meaning you can prep it before you head out for work and come home to a really easy, delicious dinner. 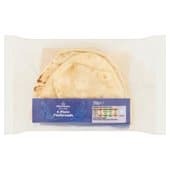 I tend to serve this hoisin pulled pork on these folded flatbreads from Morrisons, with finely sliced cucumber and spring onions. 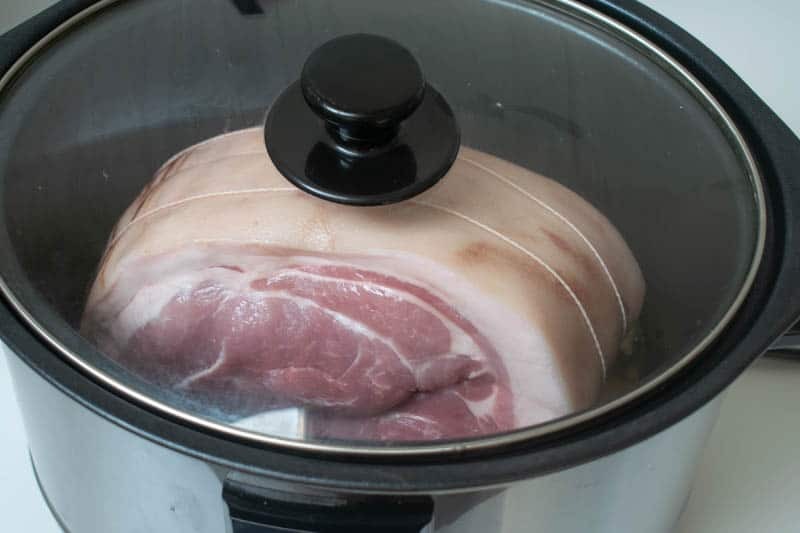 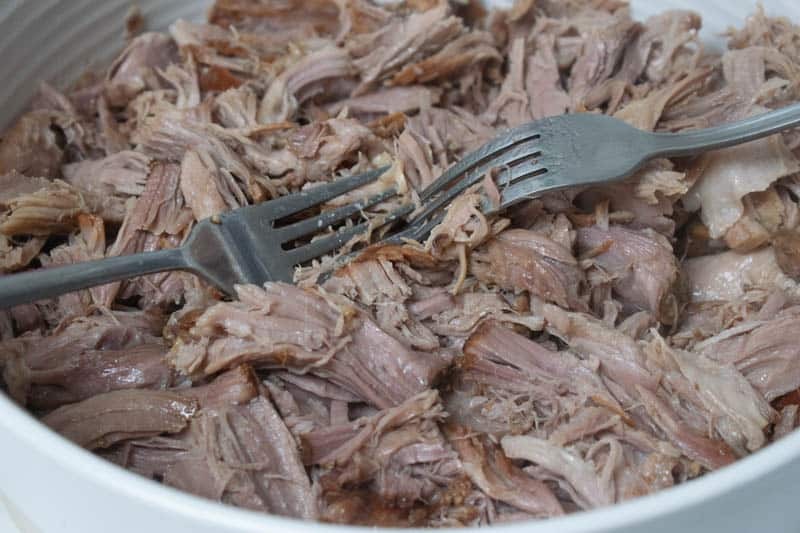 Pork shoulder is of course a much cheaper cut of meat than duck, so this recipe can feed a family on the cheap, giving you lots of food and enough for a delicious work lunch too. 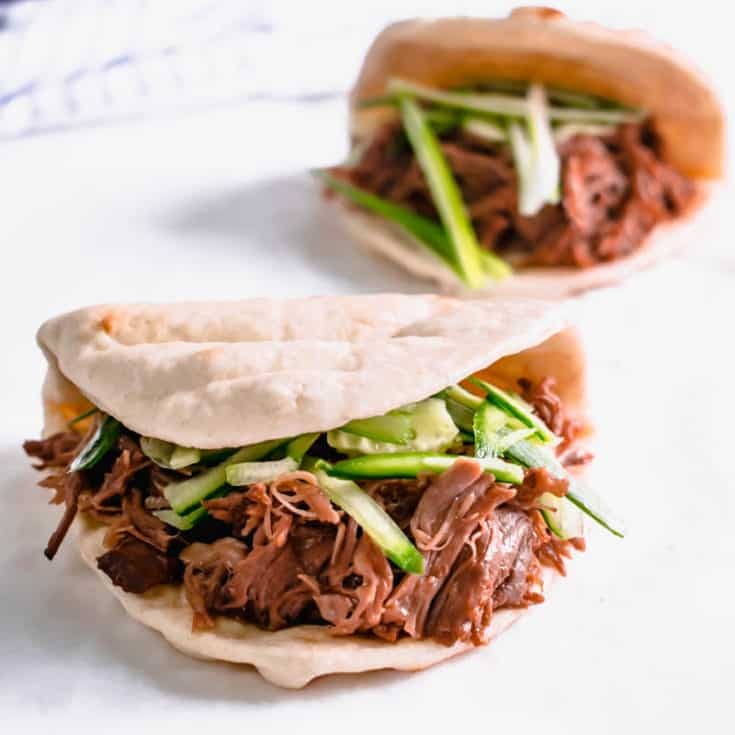 This hoisin pulled pork would make a great dish at a Chinese themed dinner party, served in the folded bread breads, with pancakes, rice or chips. 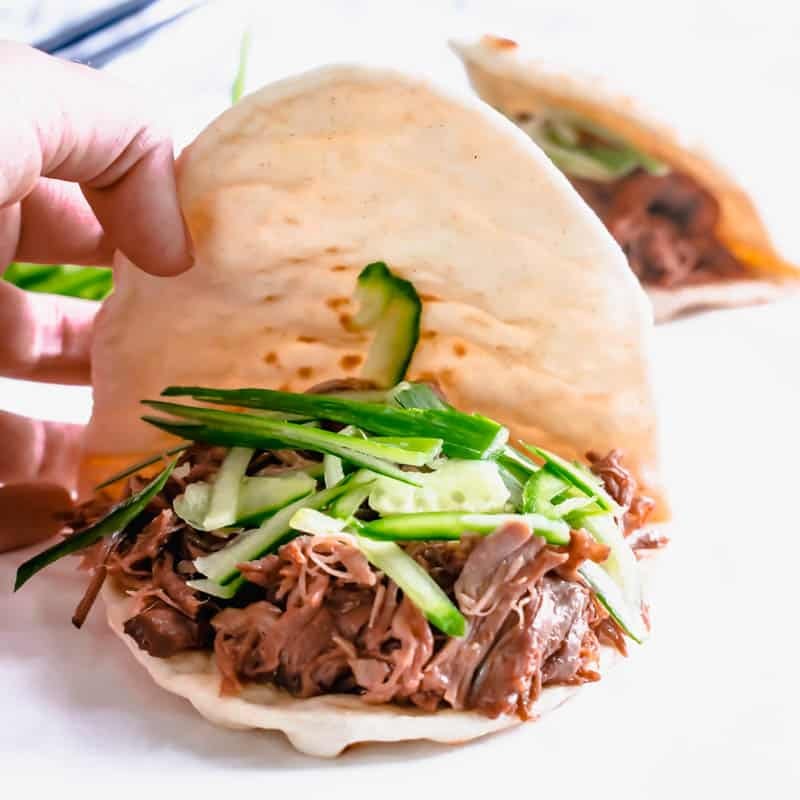 A delicious mid-week fakeaway version of Chinese peking duck, minus the duck and deep frying. 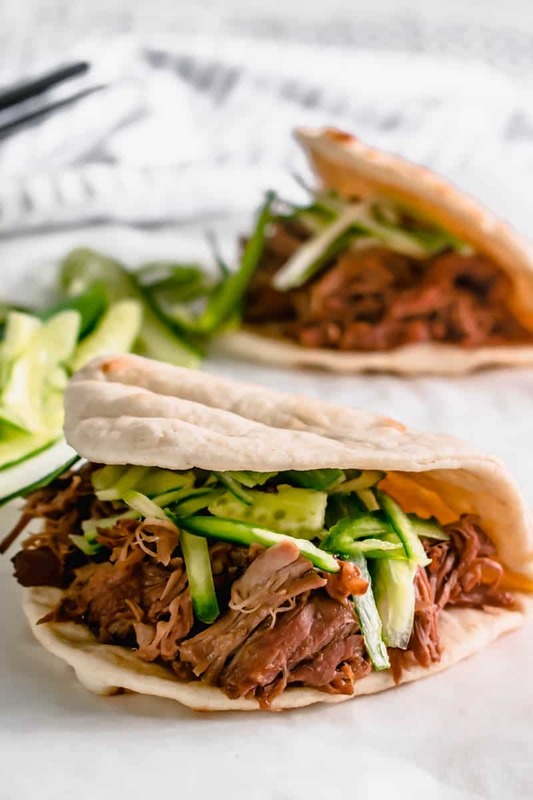 Delicious slow cooker pulled pork smothered in sweet hoisin sauce and topped with spring onions and cucumber.